Last night around midnight, a Space Shuttle undocked from the International Space Station for the last time. It’s hard to believe, but I remember listening to one of the first launches of the Space Shuttle (the 3rd, I think), holding a transistor radio to my ear in my elementary schoolyard. And last week I watched the launch of the last shuttle on an iPad with my daughter sitting on my lap. Plus ça change. I just hope she’ll have a cool space mission to show her kids. I know! it’s been driving me nuts. Though this guy caught it on video during the day through a telescope! 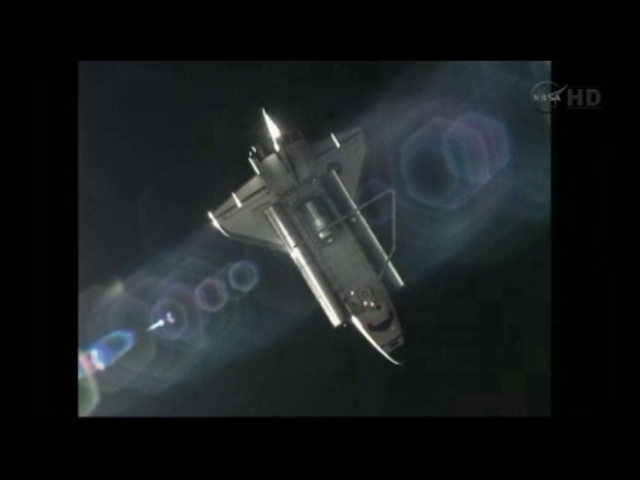 This is a pretty awesome shot of the shuttle entering earth.